BUDAPEST, Hungary, 29-Oct-2018 — /EPR INTERNET NEWS/ — By 2020 almost 500,000 ICT jobs may remain unfilled in Europe according to European Commission’s estimate. Coding bootcamps offer one way in which this issue can be addressed, by reeducating career changers looking to move into the IT industry. Budapest-based Green Fox Academy, who run Hungary’s first 4-month-long coding bootcamp course, has just started its first course in Prague, with 16 students. The teaching methods and course structure are the same as the courses which take place in Budapest. While the unemployment rate in the Czech Republic is the lowest in Europe, it is notable that the labor market has a shortfall of 20,000 IT professionals. Coding bootcamps offer one way in which this shortage of developers can be addressed, and is one reason why Hungary’s first 4-month-long coding bootcamp, Budapest-based Green Fox Academy, has opened a new bootcamp in Prague primarily for career changers looking to move into the IT industry. “The lack of IT professionals is not a local but a regional tendency,” says Kristóf Bárdos, co-founder of Green Fox Academy. “Digital technologies are having a wide impact on all industries, entire professions are disappearing or being re-defined, and new jobs are being created. Digital skills are becoming vital in every industry.” Bootcamps can plug this gap by reeducating career changers. Green Fox Academy started its first course in Budapest in 2015 with 21 students, and since then 380 students have graduated from the bootcamp. Green Fox Academy’s 10th cohort, with more than 80 students, begin their studies in Budapest this October, while in Prague the first course has just begun with 16 participants. Green Fox Academy entered the Czech market with a local partner, Czechitas. This non-profit corporation organizes courses in programing, web development, graphic design or data analytics for girls and women. They have more than 4,000 graduates per year. LUXEMBOURG, Nov-24-2017 — /EuropaWire/ — In 2016, OneLife embarked on a digital transformation journey making it one of the early movers in an area where man and machine are increasingly interacting to improve customer experience. Since then, a number of initiatives have been delivered as per the roadmap, with still more to follow in the coming months and others in the proof of concept stage due for early 2018. Launching its Digital Days in June 2017 to fully engage employees in the transformation process, the firm’s Digital Days Breakfast on 30th November is the opportunity to highlight the year’s achievements and set out the initiatives to come. Employees across departments at OneLife are involved in implementing digital innovation to improve the experience of partners and clients and in so doing learn the techniques which will allow them to compete in tomorrow’s world. Training and development at OneLife has also gone digital with the introduction in September of the Lynda.com learning platform from LinkedIn. This tool, offering over 10,000 e-courses, actively encourages employees to learn on a regular basis across all disciplines with certification awarded to acknowledge completion. As Marc Stevens, OneLife CEO, says: “At OneLife, Digital is part of our DNA! The intelligent interaction of man and machine means a simpler, faster and easier everyday experience for our partners, clients and employees. Our digital transformation continues – we’ve implemented a large number of value-add initiatives this year and many more are to come next year”. ONCE UPON A DIGITAL YEAR – WHAT’S BEEN DONE? OneLife worked closely with Harvest, the leader in France in data aggregation, to offer their mutual independent financial advisors in France this new service, the advantage of which is to provide an overall view of portfolio positions for each of their clients. This initiative is part of a comprehensive digital approach to which other data aggregation initiatives will be added. OneLife is now able to fully support the Penelop format so allowing them to extend their partnership with other market aggregators over the coming weeks. In addition, OneLife recently put a B2B service in place enabling partners to log on in real time to the platform to view all the information available on their respective portfolio. The project was delivered in record time thanks to the particularly fruitful collaboration between OneLife and Harvest enabling the new flows to be taken on to further extend the integration of the Luxembourg contracts in O2S. Making the flows available is part of a legal and technical mechanism which guarantees integrity and confidentiality of the personal data (data masking, secure file transfer protocol, cryptographic communication, authentication key, etc.). Identifying the stages in a well-mapped process which can be done just as well by automated means – and even enhanced in terms of time, accuracy and reporting – is a key area of the firm’s focus. The automation of parts of the OneLife service workspace is just one example. Generating automatic emails to confirm transactions, request missing documentation and manage life policies effectively leaves the company’s Customer Services team with more time on their hands to deal with more complex live customer queries – and so better manage the relationships with their valued partners and clients. ONCE UPON A DIGITAL YEAR – WHAT’S JUST AROUND THE CORNER? A number of other digital initiatives are due for release in the coming weeks. For the 2017 year-end portfolio statements, the firm is putting in place Dematerialisation, a process which allows the policyholder and his intermediary to view statements directly on the firm’s secure portal, youroffice yourassets instead of in paper form by post. The pdf may be downloaded and stored as appropriate for future reference. The dematerialised statement has the same legal value as the paper form. Efficiency, security and speed are all watchwords of this new paperless process. Accelerating the client on-boarding process through the automation of KYC and AML checks has been through the test-drive stage at OneLife and is about to be launched. RegTech, or Regulation Technology as it is widely known, provides the Compliance team with a powerful technology tool to run the checks and then revert with a recommendation. The team can then intervene to run further checks and/or on-board the clients so significantly speeding up the process from the days when all stages were manual. OneLife partnered with KYCTech, a Luxembourg start-up company, to establish a Proof of Concept for the platform. The service will be implemented in February. OneLife launched the OneLife OneApp for its partners in Belgium in 2016. It was then made available to the rest of its partner base in August 2017. The next step is to offer it to all OneLife clients from December. The App offers real-time access to portfolios on-line in a secure environment, as well as the ability to track operations and outstanding items. OneLife partners and clients can be sure that their portfolios move with them and are accessible 24/7! As the final piece in the digitalisation of its on-boarding and service offering, OneLife will introduce an electronic signature capability in the first quarter 2018. The new service will allow partners and clients with access to youroffice, yourassets to sign digitally, eliminating the time-consuming process of physical signatures on switches and top-ups in a first phase and other operations in later stages. ONCE UPON A DIGITAL YEAR – WHAT’S FOR NEXT YEAR? OneLife is also innovating in the area of RPA (Robotic Process Automation). A number of Bots have been launched in 2017 and are already serving the business. A larger scale deployment is planned for 2018. As a digital front-runner, OneLife is using its internal AGILE approach to identify and implement change across the organisation fast. From concept to delivery, the firm’s digital transformation is not just a promise but a reality. OSLO, Nov-8-2017 — /EuropaWire/ — The 99X Technology team aired its first international breakfast seminar, on winning with the digital evolution this 25th at Kulturhuset in Oslo. As a first of a series of seminars to be kicked off in the coming years, Evolve 2017: Oslo was all about bringing the digitalization wave to Norway’s tech and innovation community, with knowledge and experience sharing sessions from industry thought leaders in the region. Directed specifically at enthusiasts looking to transform their business models to digital, and enhance revenue by adding core value to products or services, the seminar was held in partnership with Netlife Design, Norway and was an insightful two hours for the audience. The speaker panel featured Dag Honningsvåg (Chairman of 99X Technology, Driw AS and Bylineme, and Former CEO of Making Waves), Jostein Magnussen (Co-founder of Netlife Design), Hasith Yaggahavita (CTO at 99X Technology and founder of IgniterSpace) and Per-Christian Svendsen (CEO of Boligmappa AS). “The opportunities are endless with digital transformation. We know this first-hand and we have proven experiences where software products have achieved sustained growth over the years, working with many different ISVs across the world. 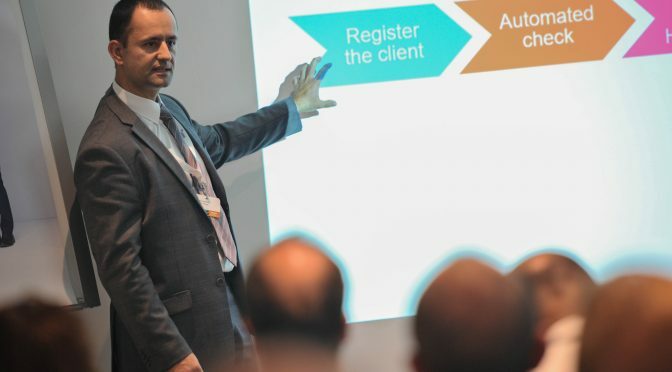 The objective today was to bring to light how beneficial this would be for Norwegian software vendors, as well as general enthusiasts for their growth strategy,” said Dag Honningsvag, expressing his views at the seminar. “Evolve Oslo also became a platform for like-minded digitalization enthusiasts to come together and share their views, and this was exactly what we were hoping for. As digital evangelists, we are looking forward to enabling this transformation for the entire European region very soon,” he further added. Commencing with Dag’s comprehensive introduction to digitalization, the seminar was taken over by Jostein who shared very informative insights on handling clients in the digital era of information clutter, followed by Hasith who elaborated on the next big thing after the SaaS hype. Per-Christian then concluded with an interesting view of how the digital transformation journey works, taking his own success with Boligmappa AS as an example. Overall, the tips and learnings were a great directive for the audience. 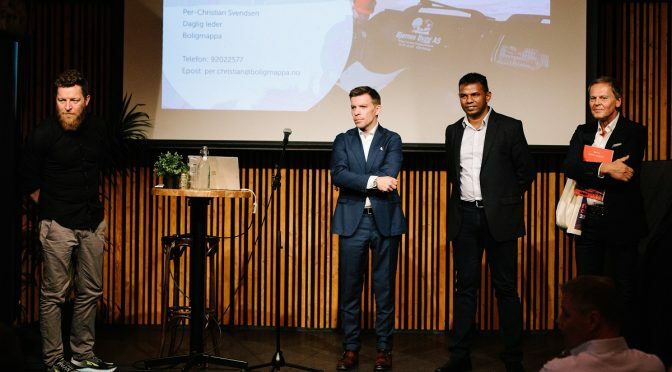 This seminar marked the end of a fruitful engagement in Norway by the 99X Technology team, which also included a company showcase at Webdagene 2017, Scandinavia’s largest customer experience conference, last week. Oslo, Norway, Oct-26-2017 — /EuropaWire/ — Leading software product engineering specialist 99X Technology recently showcased at Webdagene 2017, Scandinavia’s largest customer experience conference, organized by Netlife Design Norway. The show which housed over 15 Exhibitors and entertained more than 1,000 visitors is an annual convention which spans across two days, featuring a line-up of industry thought leaders and top players in the digital sphere in Europe on its speaker panel. The aim of the show is to bring participants up-to-date on latest trends in world-class digital user experiences. Webdagene was held from 18th to 20th of October this year, with the first day being a workshop-oriented session, and second and third days dedicated to the exhibition. 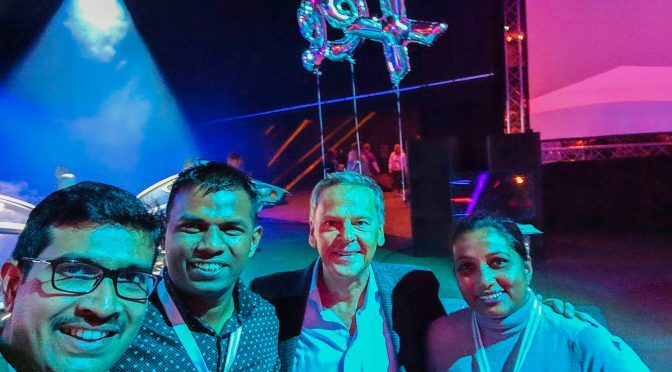 Having played an active role in digitizing leading European ISVs (Independent Software Vendors) with over 150 successful software products in its portfolio, it was a great platform for the team from 99X Technology to display some of Sri Lanka’s best product engineering skills to the European region and its IT community. “While we have maintained an active presence in Norway over the past decade or so, Webdagene brought us face-to-face with some of the key players in the digital sphere in the whole European region. In addition to being a fantastic experience with so many inspiring individuals, it also proved to be a great opportunity, where we gained good insights into Europe’s evolving technology landscape. This exposure helped us align our digital offerings better for European market as a global software product co-creator,” said Hasith Yaggahavita, CTO of 99X Technology, while expressing his views on the event. Киев, Украина, Oct-20-2017 — /EuropaWire/ — Front-end и back-end разработчики Ruby on Rails, Go, а также UX/UI дизайнеры со всего мира соберутся 28 октября 2017 года на конференции SphereCon (http://bit.ly/SphereCon), организованной Sphere Software, для установления рабочих связей и ознакомления с подходами передовой практики от экспертов Sphere. Это бесплатное мероприятие состоится в конференц-зале Interia, расположенном по адресу ул. Владимирская, 49а, Киев. Поскольку Ruby и Go постоянно развиваются как ведущие языки программирования, возрастает потребность в обсуждении об изменениях и расширении их сети. Это побудило Sphere Software и ее генерального директора Леона Гинзбурга организовать SphereCon – возможность для разработчиков собраться на бесплатную однодневную конференцию, поддерживающую обсуждение этих программ. «Мы организовали SphereCon, чтобы делиться своими знаниями и обучать сообщество разработчиков, как создавать масштабируемые программные продукты, которые могут работать в условиях высокой нагрузки и требующих высокой производительности», – говорит Леон Гинзбург. «В Sphere, мы разрабатываем масштабируемые продукты для быстрорастущих компаний, и для нас важно поделиться этим опытом с сообществом, потому что это даст разработчикам конкурентное преимущество в долгосрочной перспективе». Вклад профессионального опыта в систему разработки программного обеспечения является основным принципом для Sphere Software с момента ее создания в 2005 году. Sphere Software осуществляет это посредством конференций, open source проектов, блогов, тематических исследований, обмена знаниями, Sphere Academy и разработки собственных продуктов. «Как разработчик, вы всегда должны стараться усовершенствовать свои знания в области программирования», – добавил Гинзбург. «Это не только делает вас более востребованным, но и более универсальным разработчиком. SphereCon – это отличная возможность наладить контакты с другими разработчиками и помочь им расширить свою профессиональную сеть». Amsterdam, NL, 05-Dec-2016 — /EPR INTERNET NEWS/ — Rockstart, the world’s greatest startup machine, announces applications are open for the 6th Web & Mobile Accelerator program. The program begins on March 1, 2017 and lasts for 150 days. 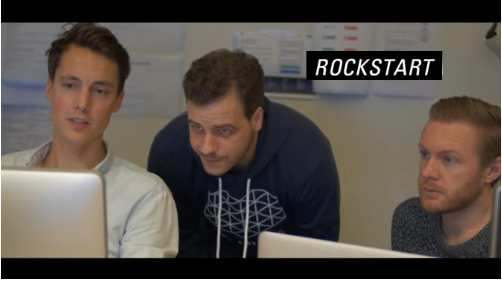 Rockstart supports entrepreneurs with a strong purpose by connecting them with the brightest minds in the industry, including experienced mentors, successful founders, and investors. Rockstart Web & Mobile startups like 3D Hubs, Peerby, Wercker, Deskbookers and many more have created successful businesses across a variety of B2C and B2B categories. 2016 graduates include Otly!, a bank for kids and their parents and winner of the UberPitch award, which led to funding by Uber. TIQ, a time-tracking solution for the enterprise, won the Exact Software Emerging App of the Year award and was mentioned by the Financieele Dagblad and Lawyer magazine as one of the best startups in the area of legal tech. Surance helps people get more out of their savings by making professional asset management easy and accessible for everybody. Two leading financial institutions have chosen Surance as their exclusive provider for robo-advice technology. To learn more about all the alumni of the Web & Mobile program, please check our website. Rockstart’s 2017 Web & Mobile Accelerator will be accepting applications until January 15, 2017 and the program begins March 1, 2017 in the center of Amsterdam. For more information, please take a look at our stats. New Firewall Hacking Book By HackerStorm For Penetration Testing & Ethical Hackers, Cowboy Testers Beware! HackerStorm.com has published a new ebook aimed at ethical hackers and security professionals who hire or manage penetration testing services. ‘Firewall Hacking Secrets For Security Professionals’, available via Amazon.com for kindle, is the first ebook in the series. For many, firewall’s are the first line of defence and with high profile hacking incidents on the rise, the requirement for good firewall testing is now essential. “Firewall testing and hacking was an easy choice as a first publication, many depend heavily on firewall security and a lot of organisations are being targeted for all manner of reasons which creates a demand for regular firewall testing”. Timur Mehmet adds: “The aim of the ebook is to give people enough knowledge to enable managers and penetration testers to ask the right questions so that they can create a more meaningful test scope and test plan. All too often the testers ask what the customer wants and the customer really has no idea, all they know is they are worried about Anonymous, LulzSec and the rise in activity from Iran and China but have no idea on how to approach the testing or how to evaluate the testers”. “Unfortuntately, some testers out there relish this situation becuase it enables them to do the minimum amount of work for the maximum amount of money leaving the hiring managers with a huge false sense of security, on the flip side, there are many penetration testers and ethical hackers who want to know if what they are doing is in line with best practice as most books on the subject provide very little information other than to download and install some free tools”. ‘Firewall Hacking Secrets For Security Professionals’ is a vendor neutral guide aimed purely at testing firewall technology. The book does not focus on how to use various tools or explain basic networking like virtually all hacking books to date. The HackerStorm.com ebook gets straight to it. A summarised checklist is also provided to help create a test plan and to enable all parties to discuss the scope of testing to ensure the project is relevant. The book is currently available in Kindle format via Amazon for immediate download with further formats plannned in the future. To stay informed about new tools and ebooks, you can follow hackerStorm.com on Twitter at @hackerstorm. Despite the challenging economic times entrepreneurs are helping to guide the UK economy through these difficult times, as both freelancers fight back against the high unemployment rates and new start up business look set to boost the national GDP significantly. As a result of unemployment in the UK steadily increasing, as well as the number of unemployed people currently being the highest since 1994, research has shown that a significant amount of people are turning to freelance work, in an attempt to earn money – an increase of 12% since 2008. With the number of freelancers and new business owners on the rise, amidst a struggling jobs market, the strong business spirit is helping us all to avoid a future recession, and to make the very best of a bad situation. In the current challenging economic environment, businesses are keen to reduce fixed costs costs, often by reducing the number of fixed staff they employ, and are instead employing freelancers. With freelancers working on flexible, short-term contracts, they are paid on a per work basis and are therefore not paid for the times when they aren’t needed, helping to minimise overheads. This has of course shaken up the freelance industry, with a large amount of work available from many different companies. Whether it be a large retail company looking for a web designer to design and host their website, or an office based company needing a professional to undertake some administrative duties, it seems that outsourcing is the way to go about it, with more outsourcing websites setting up each month. With many of the websites offering payment and project management platforms, as well as a whole host of other support, it’s a hassle-free way for those with the right skills to earn a sole income, or to supplement their income. Many people who have been made redundant now seek work through outsourcing websites, in order to continue earning money during a challenging economic time. The amount of people freelancing in this way shows that they’re actively fighting the economic environment, and boosting the UK economy at the same time. Furthermore, a recent survey has suggested that Britain’s newest start-up businesses are set to add hundreds of millions of pounds to the national economy next year, with outsourcing being the concept that looks set to continue leading the way. The survey, commissioned by T-Mobile and carried out by the Henley Business School, estimated that technologically-focused small businesses launched in 2011 could generated a combined £360m for the UK economy in 2012, generating somewhere in the region of 70,000 jobs. Businesses in the private sector should follow the example set by an increasing number of public sector bodies and consider outsourcing. That’s according to one of the UK’s leading outsourcing marketplaces, OutsourceMyProject.com, which says the number of organisations now looking at outsourcing in a bid to reduce their cost base is proof that bringing in the right external specialists can make a big difference. IT services, finance, HR, payroll and logistics are all areas that are being outsourced by public sector organisations. Loren Holland, managing director of OutsourceMyProject, said: “The large number of local councils and public organisations including police forces and fire services that have started outsourcing in recent months in a bid to reduce costs in the face of budget cuts shows how much of a difference the right professional services provider can make. The tender process for public contracts can often be extensive, with organisations spending many months ensuring they enter into a deal with the right partner. Loren said it is just as important for private businesses to make the right decision when it comes to choosing a professional services provider. He said: “While most firms will not be dealing with 10-year contracts worth millions of pounds, it is still vital for the good of the company to ensure that the external specialist charged with completing a project is reliable and will finish everything on time and to the required standard. Posting a job through OutsourceMyProject ensures that you are always connected to the best freelancers in the business. OutsourceMyProject, a UK web based marketplace which allows businesses to outsource work and business functions to freelancers and professionals in the UK and aboard, has just broken a major barrier after having £1 million worth of projects posted on the website since its launch. OutsourceMyProject launched at the start of 2011 and has already helped hundreds of entrepreneurs and small businesses find a freelancer in service categories such as web design, e-commerce, graphic design, copywriting and administrative support. OutsourceMyProject is a marketplace which connects skilled professional freelancers and professional service providers with UK businesses seeking to use their services. The website can be used to find and work with a variety of experts from web designers to translators, graphic designers to accountants. Customers simply post their job on the OutsourceMyProject website, which is completely free of charge, and then receive proposals from experts within hours. The site provides the platform to evaluate and manage service providers with concerns over ability and experience of providers being mitigated by the websites comprehensive feedback and rating system. Furthermore, OutsourceMyProject.com also provides a range of web-based tools to ensure confidence in the execution of your project. These include an online payment platform, project management facility and messaging system to ensure open and clear communication between both parties, all within the safety of the OutsourceMyProject.com website. The concept of outsourcing and the use of freelancers to provide essential business services have proved to be a lifeline for many companies over recent years, and this looks set to continue as we face a double dip recession. These difficult economic times have made it more important than ever for companies to tighten their purse strings and streamline their operations. Rather than employ new staff on a full-time basis, specific projects can be completed by freelancers, with exactly the right skills and experience, on flexible contracts. The number of freelancers registering with OutsourceMyProject has tripled over the past six months. The website attracts everyone from unemployed skilled professionals looking to earn a primary source of income to retired workers and students looking to supplement their income. The website is becoming an essential platform for the UK freelance market, helping them connect with businesses seeking their skills and expertise. With a double dip recession looking likely, businesses are streamlining themselves more than ever before, in an attempt to ensure the struggling economy doesn’t cause the closure of their business. Cutting everything from staff head counts to workloads, businesses are keen to reduce costs by re-thinking their everyday operations and processes. One example of the type of change being made by businesses is that they are reducing the number of fixed staff they employ, and are instead working with freelancers. With freelancers working on flexible, short-term contracts, they are paid on a per work basis and are therefore not paid for the times when they aren’t needed, helping to minimise overheads. Delegating work to freelancers in this way is called outsourcing, whereby an outsider is used to provide the product or service needed by the company in question. There are many different business functions that can be outsourced to freelancers, including everything from a company’s finance and account functions, to web design and other IT functions. Outsourcing work enables companies to cut their fixed overheads, by replacing in-house teams with third party organisations and/or freelancers. The recent economic climate has resulted in potentially the strongest freelance market ever, with many professionals offering their services on flexible contracts, as these skilled individuals look to gain or supplement their income after losing their permanent job, or having their income reduced during these difficult financial times. With today’s society facing such economic uncertainty, freelance work can provide both greater stability and flexibility than a full-time job can offer, which is just one of many reasons working in this way is as popular as it is. OutsourceMyProject is an ideal site to find freelancers and professional service providers who are capable of undertaking projects and business functions. Furthermore, the site provides a platform to not only find, but also evaluate and manage service providers and projects. Concerns over ability and experience of providers are mitigated by the websites comprehensive feedback and rating system. OutsourceMyProject also provides users with a safe payment escrow service to provide maximum protection to its users. brightsolid and The British Library have announced the launch of a website that will transform the way that people use historical newspapers to find out about the past. The website offers a wealth of material for people researching family history, including family notices and announcements and obituaries, while the ability to search by keyword/s, location, date and newspaper title means that people can search across hundreds of thousands of pages at a time as they track down that elusive ancestor. Searching the website generates free preview snippets of results found but users wishing to download full articles and images can pay to do so with a range of payment options available, including pay-per-view access for 48 hours or 30 days and a subscription package for a year. The website is free to use in the British Library’s reading rooms. The British Newspaper Archive is the result of a ten-year partnership between the British Library and brightsolid, announced in May 2010. Over the past 12 months, brightsolid’s digitisation team, based at the British Library Newspaper Library at Colindale, has been digitising up to 8,000 pages of historic newspapers every working day. The project is expected to scan up to 40 million newspaper pages over the next ten years. The site also offers high quality A1 prints. The launch and further expansion of the British Newspaper Archive website will help the British Library to fulfil its strategic goals of long-term preservation of and access to the national newspaper collection, including old London newspapers. The Library’s newspaper strategy aims to secure the future of this unique resource by moving the hard-copy collections from the current building at Colindale to a purpose-built storage facility in Boston Spa, West Yorkshire. Access to the collection will be provided via microfilm and digital copies made available at the Library’s main site at St Pancras. Several months after first launching, the outsourcing website, OutsourceMyProject, is continuing to provide freelancers with work. Enabling many different businesses to have their work completed by skilled individuals, the work costs significantly less than it would do when sourced from a high street company, which is why the concept has really taken off. With shocking figures released today by the BBC, a record 1 in 5 people under the age of 24 are currently unemployed. Clearly backing the concept of outsourcing, and more specifically backing the purpose of outsourcing websites such as OutsourceMyProject, now is a great time for people out of work to be able to make money from home. With a jobless rate of 8.3%, and a figure from October 2011 announcing that 1.6 million people are now claiming jobseeker’s allowance, the unemployment rate is the highest since 1996, whilst the total number of those who are unemployed is the highest since 1994. To date, the concept of outsourcing professional services has been limited to large companies and organisations. However, OutsourceMyProject is a website that enables small and medium sized businesses, as well as entrepreneurs and individuals to be able to successfully find a freelancer and outsource business abroad. Helping businesses to work within their ever-tightening budgets, OutsourceMyProject is a concept whereby significant cost savings are generated. This is most commonly through the outsourcing of work to low cost economies that have a highly talented skill base, such as various information technology roles and back office support roles to countries like India. Freelancers firstly sign up to OutsourceMyProject, upon which they are then able to create a freelance profile and use the fair and transparent bidding process to secure the work that appeals to them, such as opportunities to become a freelance logo designer or as freelance graphic designers. With companies able to cherry pick the exact talent they’re looking for, and consequently choosing the freelancer they feel can carry out the job to the required standard, it’s a great way to build up strong working relationships, and is a concept that encourages competitive bidding from both UK and global providers. With any cost saving method being essential in combating the ever-struggling economic climate in today’s society, it seems that outsourcing is an ideal concept not only for thriving businesses facing budget cuts, but also for companies who simply wouldn’t be able to survive without these savings in place. OutsourceMyProject provides a sought-after service that helps UK businesses to cut fixed employment overheads whilst also cutting the costs of service providers too. For example, sourcing a competent web designer on OutsourceMyProject is considerably cheaper than sourcing someone at the same level from a high street company. Thanks to the concept of outsourcing, the freelance jobs workforce is growing, with the possibility of working from home and making a living for yourself being much more of a reality today than it has ever been before. With the digital world growing too, as well as the increasing capabilities of technology continuing to pleasantly surprise us, perhaps this is the way of the future and something we will see a lot more of over the next year or so.